The Weight of Chains is a documentary about the breakup of Yugoslavia and the direction that the former Yugoslav Republics went in the aftermath. Much of the focus of the film is on NATO’s intervention in the violent conflicts that ensued, as well as the West’s role in promoting such conflict. It is quite a relevant documentary for today as NATO continues to engage in “humanitarian interventions” in the developing world. The documentary primarily covers the period from the late 80s up to the independence of Kosovo. It offers a refreshing look at the conflict, not through the eyes of the West stepping in to do a humanitarian good, but instead demonstrates the problems of NATO intervention and that their role was that of “colonization” instead of mere intervention. While the narrative of the documentary is refreshing and takes an “anti-imperialist” stance to a degree, it isn’t without some problems. For example, the way that ethnic tensions are portrayed in the film is almost suggesting that they were merely the result of Western manipulation and intervention, although the film does not suggest a sort of grand conspiracy involved in the Alex Jones sense. Yugoslavia’s ethnic tensions predate the socialist period (as the film does point out) and the institutions and divisions of the country that existed to decrease ethnic tensions under Tito did give an opportunity for them to be exploited during the deep crisis. This discussion opens up an important part of the overall Marxist stance on national self determination. 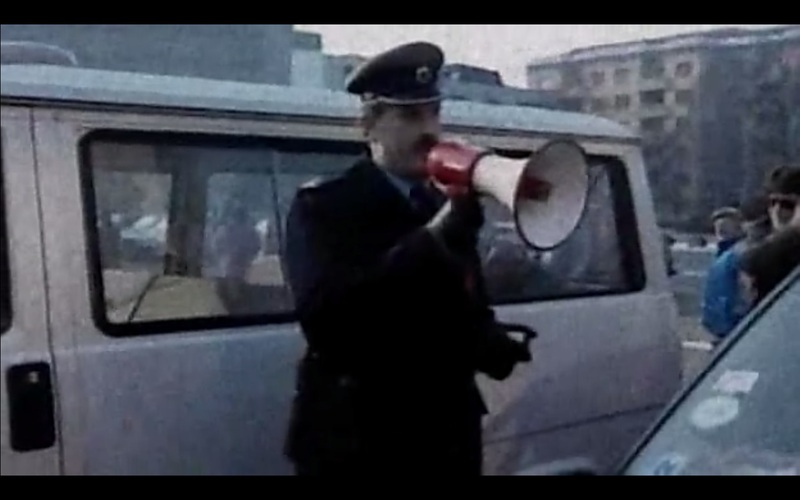 These contradictions within Yugoslavia’s socialist period were not taken seriously or explored in the documentary: there is even a portion where tensions between Albanians and Serbs during the socialist period is pointed to, which runs a bit counter to the narrative of Western manipulation of ethnic tension. Also, some of the atrocities that surely took place were not explored or essentially brushed off. While this was perhaps not the intention of the filmmaker, this could be interpreted as ignoring an important part of the conflicts that ensued. There likely was anticipation of the criticism, however, by the filmmaker who likely decided instead to reject the obligatory focus on those things that were used to justify NATO intervention: as atrocities happened on all sides. Another point that wasn’t really explored was the market model of Yugoslav socialism. During the segment explaining how Yugoslavia was independent, this model was just assumed to be the “better socialism” yet that model’s features were only briefly dealt with. Perhaps this was outside of the scope of the film, as it was geared more towards the explaining of the breakup, but more exploration of this issue would have been beneficial to the film. While there were indeed shortcomings of the film, it is important that documentaries like it exist. They challenge the accepted argument of “humanitarian intervention” that even some Leftists attempt to appeal to, which is quite unfortunate.